From about the age of 20, we begin to lose neurons - and by the age of 75, we've lost a tenth of our neurons. This may sound like bad news, but really it isn't. The truth is, while neurons don't get replaced, those that don't die off, continue to grow and branch off - making new connections right up until the day you die. 75% of your brain is water - so it's important to make sure that it stays hydrated. If you don't drink water for a 24 hour period, you will lose brain cells. Be sure to drink a glass of water every hour and a half during the day. This common sleep condition starves your brain cells of oxygen without you realising it. Sleep apnoeia is categorised by moments of shallow breathing, or complete loss of breath, during sleep. If you wake up tired in the mornings or your partner has told you, you snore loudly, look into why, and if it is sleep apnoeia, get it treated as soon as possible. A compound in tobacco products called NNK (procarcinogen) causes white blood cells in the body’s central nervous system (CNS) to attack healthy brain cells. Quit smoking as soon as possible, and stay away from secondary smoke. Taking steroids can lead to elevated levels of testosterone, which in turn, can kill brain cells. As much as possible, minimise your exposure to pollution, fluoride, pesticides, mercury, lead and drugs of any kind, including pharmaceutical drugs (where possible). Aspartame contains amino acids that cross the blood-brain barrier which can lead to neuronal destruction and damage. Regular exercise changes the brain to improve memory, thinking skills. Omega 3: About 60% of your brain is made of fat, and half of that fat is the omega-3. Your brain uses omega-3s to build brain and nerve cells, and these fats are essential for learning and memory. Eat fatty fish, like tuna and salmon, three times per week. 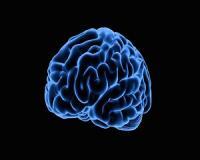 Antioxidants: These nutrients clear your brain of toxic waste that damages brain cells. You can take an antioxidant in supplement form or eat a diet high in blueberries, leeks, onions, garlic, parsley, spinach, broccoli, carrots and nuts. Curcumin: Take a curcumin supplement and spice up your food with turmeric. It is an antioxidant and encourages new brain cells. Multivitamin: Take a quality multivitamin to ensure your body gets all other nutrients it needs to keep functioning properly, including the brain. This natural compound fights Alzheimer's in SEVEN different ways! Anxiety can speed up your risk for Alzheimer's by more than DOUBLE!